Being confined in an office for 8 hours a day can definitely put a damper on your holiday mood. However, just because you work in an office environment, it doesn't mean you can't get into the Christmas spirit! We have put together 5 fun things you can do to avoid being called the Grinch by your co-workers. As the holidays are quickly approaching, everyone in the office is probably getting a bit antsy for the break. Add some humor into the mix with a few pranks! Whether you have an ongoing prank war with one of your colleagues or you want to get revenge on the person who stole all of your good black pens…wrapping your co-worker's desk in wrapping paper is an easy prank to pull off. Show up to work slightly earlier than they do and get wrapping! Do you remember how popular Elf on the Shelf was a few years ago? 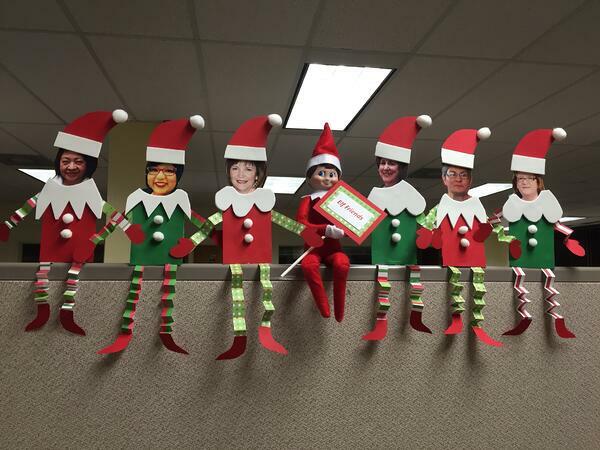 This harmless prank can be executed by gluing photos of your colleagues' faces onto elf cut outs. Make sure to place the elves in a popular spot at work so everyone will be able to see them. Nobody will be expecting this mischievous surprise! Do you hate the ugly gray walls that surround your desk? A little bit of wrapping paper and a few dollar store Christmas ornaments can go a long way! You can get as creative as you like with decorating. If you only want a bit of holiday cheer, adding wrapping paper on one wall will do the trick. If you are looking to wow everyone in the office and make them wonder if you’re Santa undercover, you can set a fireplace wallpaper on your computer monitors and use cardboard to create a fake chimney around the monitors. Being surrounded in a work environment that makes you happy will lead to better work productivity too! Stay on the 'nice' list this year and bring a few holiday themed treats into work. Add pretzels and M&M's to chocolate cupcakes to make cute reindeer or add red and green sprinkles to a classic sugar cookie recipe. Organizing a cookie exchange is another easy way to try several different flavors of cookies without having to make them all! Each person bakes several batches of the same cookie and you exchange them with each other. 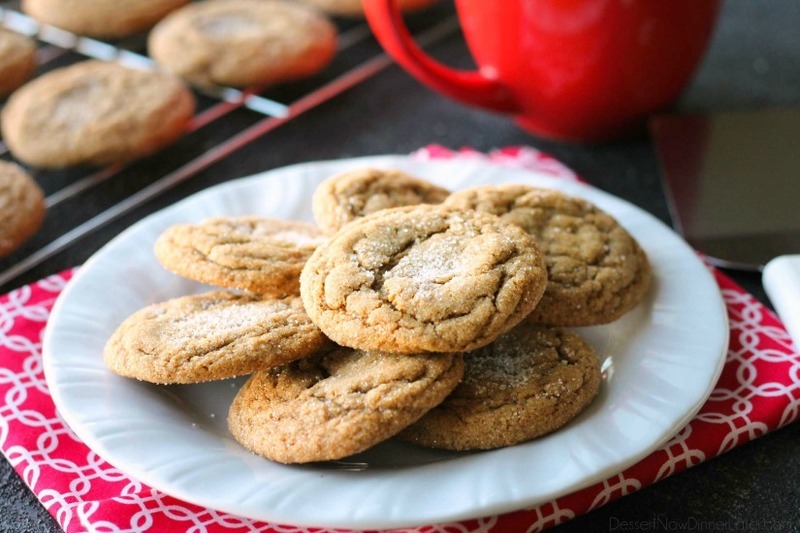 Check out this recipe for classic gingersnap cookies here. Related: Top 5 Holiday Party Entertainment Ideas! Who said games were just for kids? Not only are group games a stress reliever, they are also a great way to bond with your colleagues and build useful communication skills. The website Play. Party. Plan! published an article compiling 25 hilarious Christmas party games. Team building is a wonderful way to get your mind off work while having fun with your coworkers at the same time! 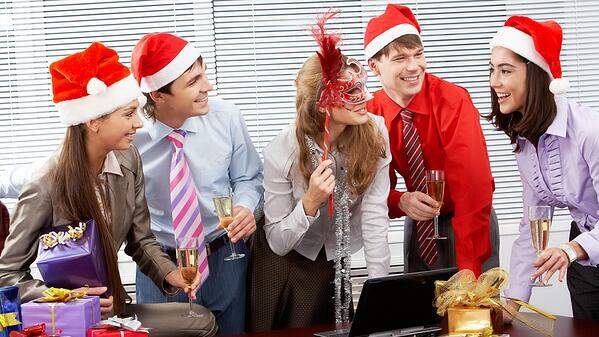 With the holidays quickly approaching, most of us are getting excited for the same thing... the work Christmas party. Whether your work is having a during work hours potluck or an evening soiree, adding a photo booth is a great way to capture your memories. 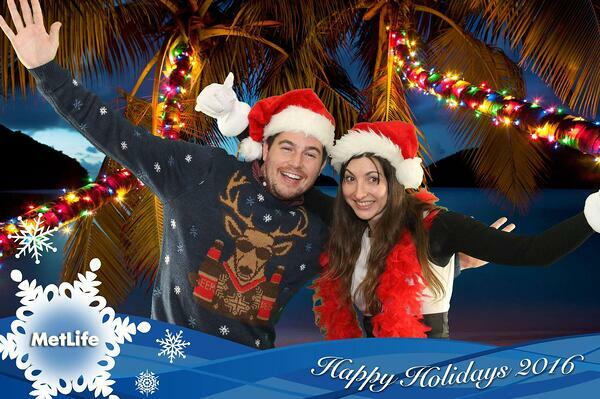 A photo booth is a fun way to document everyone dressed up and it's a great bonding activity. If you have kids, the annual Christmas party may be one of the only times a year where you get a night out child free. Not only can you share TapSnap photos on social media right after they are taken, you also get a print out; you can prove to your kids you do get out of the house once in awhile! Do you want to take your holiday event to the next level? Check out How It Works for more information about the personalized photo experience TapSnap provides.